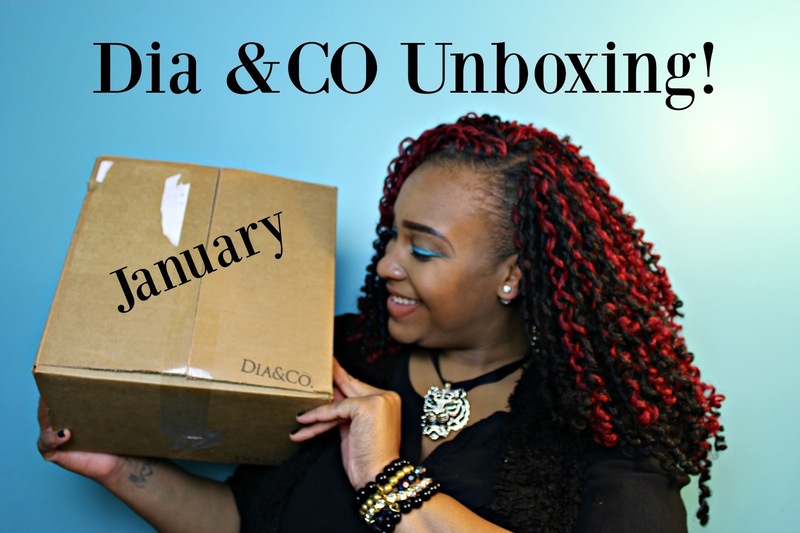 Dia & Co January Unboxing! Welcome to another week here on the blog! I hope your weekend was relaxing and fabulous, but it’s time to get back to NoMinusPlus business! I am here today with my very first( well sorta) Dia & Co Unboxing! Dia &Co is a fabulous plus size styling subscription service that I was introduced to while I was at CurvyCon last year! ( Click here to grab your curvy con tickets! ) I decided to finally join up and give them a try, and I am SOOOOO happy that I did! In today’s video I am going to give you the full rundown on how Dia & Co works, and show you what lovely items were picked out for me this month! So enough of the chit chat, lets get to the video! Did you enjoy the video!?? I hope so! I am super excited that Dia & Co will be joining NoMinusPlus for 2016! I love fashion sooo much, so I was super pleased that I finally got the chance to get my hands on a Dia & Co box! Now like I stated in the video these unboxings are NOT SPONSORED! The lovely people over at Dia & Co have not asked me to do these videos, so I am paying for everything on my own, and my opinions on everything are my own. So with that being said….. I AM OBSESSED! I think that this is such a dope opportunity for us curvy fashionistas, and I am already excited to see what I get in next month’s box! Now thease Dia & Co boxes will come in two parts: An unboxing and then a try on/ styling video. The second part of the video you will get tomorrow! Here is just a small list of what I got in this month’s box. Now I meant to take pictures of each item, but I of course forgot to! (lol) I will be sure to definitely do that next time! I swear I knew I was forgetting something! But in tomorrow’s blogpost you will get to see footage of me trying on each item, and pictures of me in the clothing, so thank goodness I took pictures of that! So be sure you check back in tomorrow if your interested in the look and fit of the items from this month’s box! So ladies that’s it for my first Dia & Co Unboxing! I hope it was filled with alot of information, and I hope you enjoyed! Be sure to go check out Dia & Co if you have any questions! Click here to visit the site! If you want to join up and get your own Dia & Co box, then click here and order with my referral code! Then when you sign up you will get your own referral code to share and you can earn $20 toward your next box! So you help me, and then you help yourself, and then you help yo homies! How amazing is that! Be sure to follow me on all my social media which is linked above! You can follow me on Snapchat over at BrielikeMe to see my daily shenanigans! I would love to be connected with you all! Meet me right back here tomorrow at 5 for the try on and styling tips for each of these items! So until then love ya lots like tator tots, and see you ladies tomorrow! Dia&Co (January) Styling and Try On!